What Is Mini or Micro IVF? Mini-IVF (also known as micro or minimal stimulation IVF) is similar to conventional IVF in the procedures used during treatment. As with IVF, you have monitoring throughout the cycle, an egg retrieval, fertilization in the lab of the egg and sperm, and embryo transfer. What’s different is how much medication is used to stimulate the ovaries to produce eggs. While typical IVF aims to produce several eggs for retrieval, mini-IVF uses weaker medications or lower doses of medications to produce only a few eggs. It may also be done without any ovarian stimulating drugs. Because lower amounts of fertility drugs are used, the cost per cycle is lower, and the risk of ovarian hyperstimulation syndrome (OHSS) is reduced. You have PCOS and are at risk of developing OHSS. You are about to start cancer treatment, are doing IVF to preserve your fertility before treatment, and fertility drugs might exasperate the cancer you have. You have low ovarian reserves. With low ovarian reserves, high doses of fertility drugs are unlikely to produce a high quantity of eggs. The money spent on those drugs may be wasted. You don’t have the cash for conventional IVF, which is significantly more expensive. A couple may also choose mini-IVF if they want to avoid the possible risk of multiples during IUI treatment. With IUI, the doctor can’t control how many eggs may fertilize. With mini-IVF, you can decide to transfer just one or two embryos. Another advantage of mini-IVF is you can do the treatment cycles back to back. You don’t need to rest. If you’re in a rush for some particular reason, this may make mini-IVF preferably to conventional IVF. During mini-IVF, Clomid may be used to stimulate the ovaries, instead of gonadotropins. Gonadotropins include injectable medications like Gonal-F, Follistim, and the like. Alternatively, lower doses of gonadotropins may be used, with the aim of producing only a couple eggs. A natural mini-IVF cycle wouldn’t be appropriate if there are any problems with ovulation preventing pregnancy, but it may be an acceptable choice in cases of blocked fallopian tubes and some cases of male infertility. Besides ovarian stimulation drugs, you also may need to take a GnRH antagonist (like Anatagon and Cetrotide), which prevents ovulation from occurring too early. If you ovulate too soon, the eggs can't be retrieved from the body and IVF can't take place. Success rates for mini-IVF are generally lower than conventional IVF, but that doesn’t mean it’s not a better choice for some couples. A randomized control study compared conventional IVF treatment to mini-IVF. The study included 564 women age 39 or younger. They were randomly assigned to the mini-IVF group or typical IVF group. They underwent treatment over a period of six months. Based on the results of this study, mini-IVF might be an especially good choice for a woman at risk for developing OHSS. The study also found that the rate of twins was much lower with mini-IVF, however the study performed single embryo transfer on the mini-IVF patients and double embryo transfer on the conventional IVF patients. Clearly, if you’re transferring two embryos instead of one, the rate of twins will be higher. Further studies need to be done to compare the overall cost per life birth for mini-IVF and conventional IVF and to determine if the odds of multiples is truly any different between the two procedures. Isn’t bigger always better? Not necessarily. Dr. John Zhang, founder and medical director of New Hope Fertility Center, explains that mini-IVF is aimed at producing quality eggs, while conventional IVF is going for quantity. In some women, trying to produce many eggs can backfire and cause problems. Having a failed conventional IVF treatment doesn’t mean mini-IVF won’t work. “Failing a cycle happens for a number of reasons,” says Dr. Zhang. “Some of these are age-related poor egg quality, stress, poor uterine environment that prevents an egg from implanting, incorrect hormone levels, and more. In many cases, someone who fails a conventional cycle will have better luck with a lower stimulation protocol like mini-IVF since it can produce higher quality eggs. One of the biggest benefits of mini-IVF is the lower cost per cycle. A typical IVF cycle costs on average $15,000, depending on what procedures are needed. Mini-IVF costs around $5,000 to 7,000 per cycle. How Does IUI Compare to Mini-IVF Treatment? IUI treatment costs less than mini-IVF. But with IUI, the risk of multiples is higher. With mini-IVF, only one embryo is transferred. With IUI, you can’t control how many eggs will become fertilized. Also, success rates of IUI tend to be lower than mini-IVF. 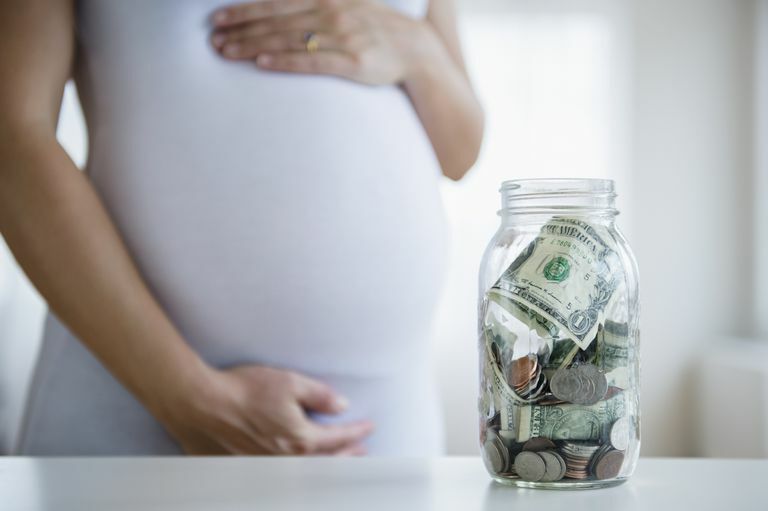 If you don’t conceive after a few cycles, the costs can actually be greater in the long run. With typical IVF, if one cycle doesn’t work, you usually will have some embryos left over to freeze. These can be used during a frozen embryo transfer (FET). With mini-IVF, you are less likely to have any leftover embryos for future cycles. There is also a greater risk of having no eggs to fertilize when using mini-IVF. Not every egg that is produced will survive the IVF process. As an example, with conventional IVF, if 10 eggs are retrieved, it's possible that only five may become fertilized. Of those, only three may become healthy embryos to transfer. Mini-IVF is also not appropriate when you need a large number of eggs. If you’re freezing your eggs, or an egg donor is donating eggs, you need to use more fertility drugs in order to produce a greater number of oocytes. When compared to typical IVF, mini-IVF costs less per cycle and lowers your risk of developing ovarian hyperstimulation syndrome. However, success rates are generally lower with mini-IVF. Compared to IUI, mini-IVF costs slightly more than IUI but has improved pregnancy success rates. You’re also less likely to conceive multiples with mini-IVF when compared to IUI treatment. Zhang JJ1, Merhi Z2, Yang M3, Bodri D3,Chavez-Badiola A3, Repping S4, van Wely M4. “Minimal stimulation IVF vs conventional IVF: a randomized controlled trial.” Am J Obstet Gynecol. 2016 Jan;214(1):96.e1-8. doi: 10.1016/j.ajog.2015.08.009. Epub 2015 Aug 8. Dr. John Zhang, Founder and Medical Director of New Hope Fertility Center; Dr. Zaher Merhi, Director of Research and Development in IVF Technologies. Email interview on August 29, 2016.